Best-selling books such as Freakonomics and The Undercover Economist have paved the way for the flourishing economics-made-fun genre. While books like these present economics as a strong and explanatory science, the ongoing economic crisis has exposed the shortcomings of economics to the general public. In the face of this crisis, many people, including well-known economists such as Paul Krugman, have started to express their doubts about whether economics is a success as a science. As well as academic papers, newspaper columns with a large audience have discussed the failure of economic to predict and explain ongoing trends. The emerging picture is somewhat confusing: economics-made-fun books present economics as a method of thinking that can successfully explain everyday and "freaky" phenomena. On the other hand, however, economics seems to fail in addressing and explaining the most pressing matters related to the field of economics itself. This book explores the confusion created by this contradictory picture of economics. Could a science that cannot answer its own core questions really be used to explain the logic of everyday life? 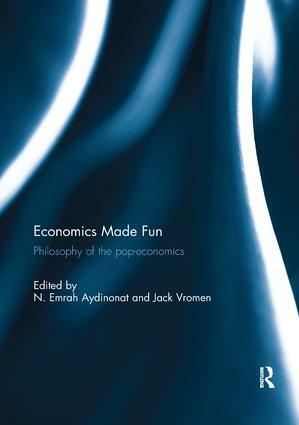 This book was originally published as a special issue of the Journal of Economic Methodology. N. Emrah Aydinonat is an Associate Professor of Economics at Bahcesehir University, Istanbul, Turkey. He is also a part-time lecturer at Bogazici University, Istanbul, Turkey, and a research associate at the Academy of Finland Centre of Excellence in the Philosophy of Social Sciences, University of Helsinki, Finland. He is the author of The Invisible Hand in Economics (Routledge 2008) and What is Economics? (in Turkish, Iletisim 2014). Recently he started writing opinion pieces for The Wall Street Journal Turkey. Jack Vromen is Professor of Theoretical Philosophy at Erasmus University, Rotterdam, The Netherlands. He is also academic director of the Erasmus Institute for Philosophy and Economics. Since his Ph.D research on Economic Evolution (Routledge, 1995) he has researched theoretical and meta-theoretical issues in Economics and Evolution. Recently he also developed research interests in Neuroeconomics, in social mechanisms and in the booming Economics Made Fun genre.